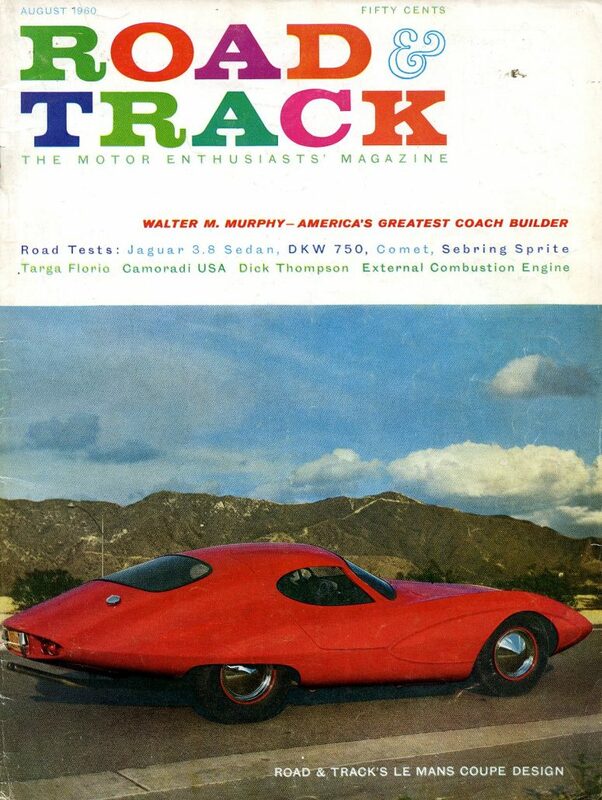 There were some fantastic fiberglass sports cars built here – and across the pond. How ‘bout Switzerland? 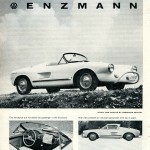 The Enzmann is one of a few sports cars made there, and has a powerful legacy both in Europe and here in America. 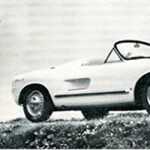 The Enzmann 506, which first appeared at the International Auto Show in 1957, is still produced – and in considerably refined and improved version. This two-seater with a sporting fiberglass body is the product of a family which boasts a wide variety of talents among its members. 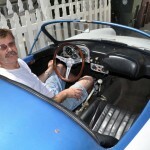 The senior Enzmann is an automobile enthusiast of many years’ standing; and his six sons include a physicist, a doctor, and an excellent mechanic. 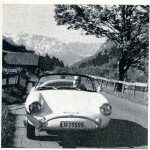 The Enzmann, delivered as a Spider and convertible on a VW chassis, is not a true sports car, as far as suspension, transmission and engine are concerned. 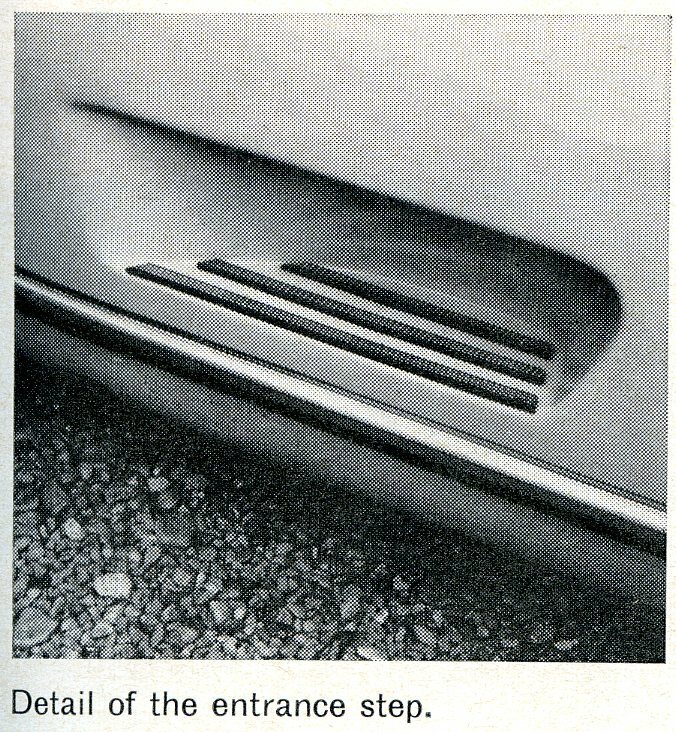 However, it is still a car with a sports car look, in which maximum roominess has been abandoned in favor of better styling and performance. 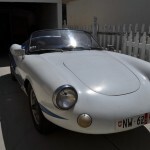 These limitations, which let this Swiss homemade car fall into the Karmann-Ghia or Renault Caravelle category, are no drawback and speak rather clearly of the Enzmann’s economy and driving comfort – qualities which are not found in racing sports cars. 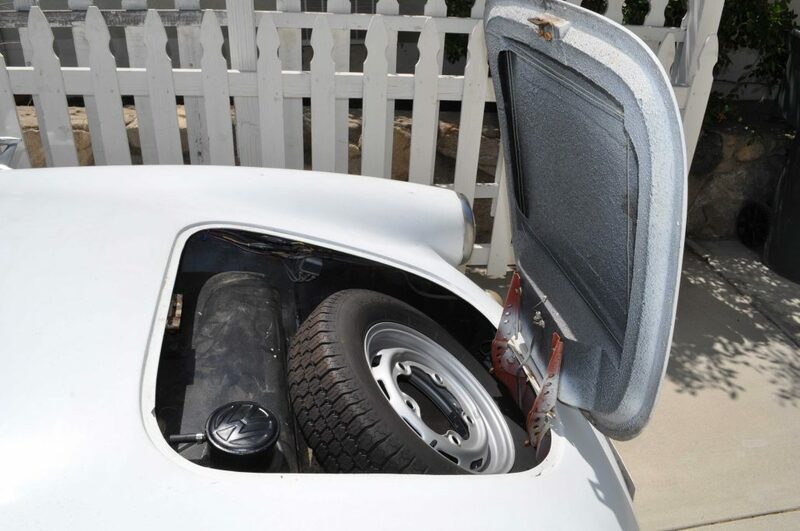 The body of the Enzmann is fastened to the platform of the VW and is extremely rigid, since, with the exception of the gas tank and engine compartment opening, it is all one piece. 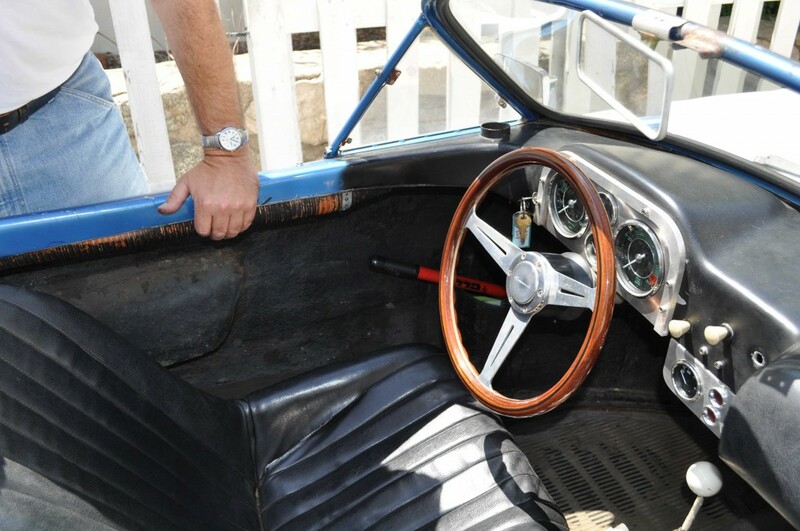 It does not have any doors – only indentations for the feet in the sides. These bodies are built in limited series, the work being done entirely by hand. The fiberglass body is built inside a female mole (which is covered by a separation layer) and then saturated with a polyester resin. Using the same method, one can repair minor damages. After the resin hardens one has only to sand, polish and paint the surface to manage a completely professional repair. In contrast with the VW sedan’s weight of 1650 lbs and the Karmann-Ghia’s 1760 lbs, the completed Enzmann weighs only 1102 lbs. The dimensions are very slightly over 156 inches long, 48 inches wide, and 36 inches high. Thus, the Enzmann has a greater performance potential than either. 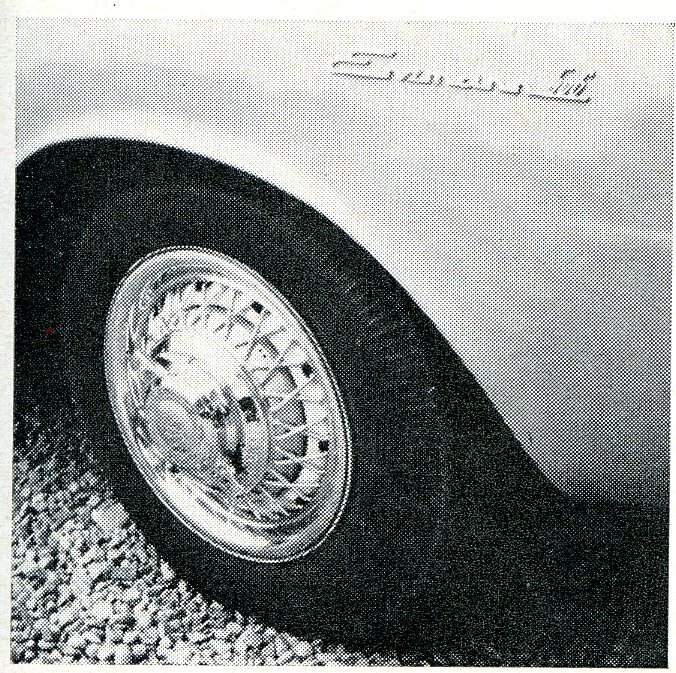 Most important of all, in the Enzmann506, one sits much lower than in the VW. One does not sit over, but directly at the center of gravity of the car. 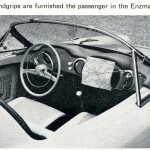 In the bucket seats (also made of synthetics), which are extremely comfortable, one has an excellent feeling of unity with the car and the road. On the passenger side of the instrument panel is a crash-cushion with a handle on each side, one of the many good ideas worked into the Enzmann. When driving this car with the top down, one feels hardly any annoying draft on the neck, even at maximum speed, due to the high headrest (which also functions as a roll bar). 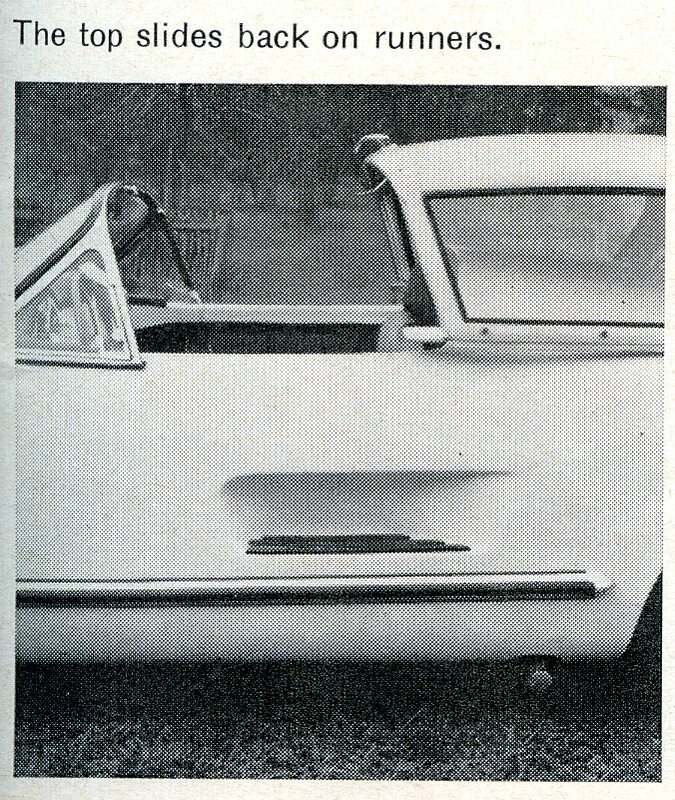 Getting into the two seater, which one can define as a roadster due to the folding roof and hinged side windows, is somewhat strange. But the step into the side niche is easy, the straddling of the side no great effort, and sitting down, after you have pulled in the other foot, is a simple matter. Indeed, this light exercise will help avert the gaining of weight around the middle of the body! 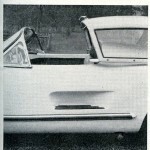 To prevent this two-seater from becoming a bathtub during a rain, the car is provide with either a simple folding fabric top or a removable fiberglass hardtop, which runs easily on tracks. 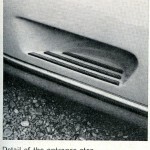 A large trunk space is located between the seats and the engine. A perlon (like nylon) net is hung between the baggage compartment and the seats, so that nothing will fly forward during an abrupt stop. 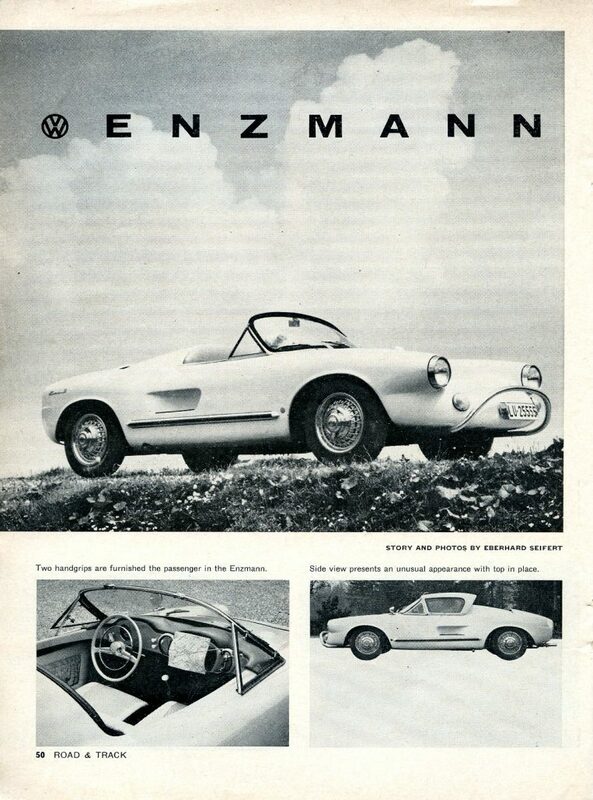 Since sports cars and cars with that sporting look enjoy international popularity, we would like to tell briefly how one goes about obtaining an Enzmann. 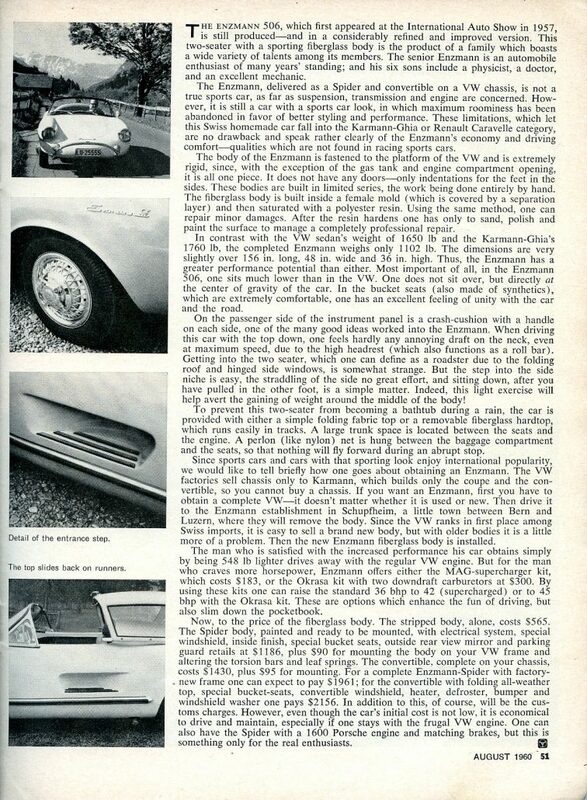 The VW factories sell chassis only to Karmann, which builds only the coupe and the convertible, so you cannot buy a chassis. 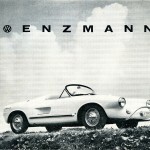 If you want an Enzmann, first you have to obtain a complete VW – it doesn’t matter whether it is used or new. 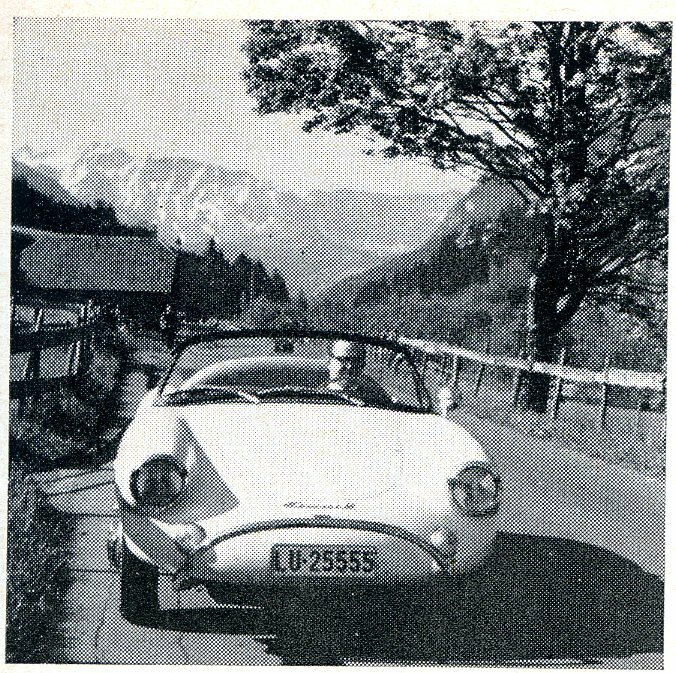 Then drive it to the Enzmann establishment in Schupfheim, a little town between Bern and Luzern, where they will remove the body. Since the VW ranks in first place among Swiss imports, it is easy to sell a brand new body, but with older bodies it is a little more of a problem. 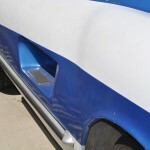 Then, the Enzmann fiberglass body is installed. The man who is satisfied with the increased performance his car obtains simply by being 548 lbs lighter drives away with the regular VW engine. But for the man who craves more horsepower, Enzmann offers either the MAG-supercharger kit, which costs $183, or the Okrasa kit with two downdraft carburetors at $300. By using these kits one can raise the standard 36 bhp to 42 (supercharged) or to 45 bhp with the Okrasa kit. 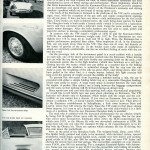 These are options which enhance the fun of driving, but also slim down the pocketbook. 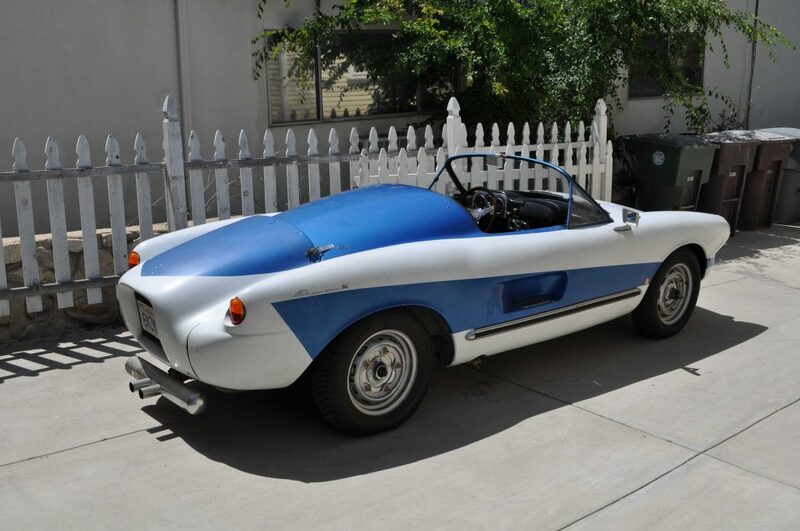 Now to the price of the fiberglass body. The stripped body, alone, costs $565. 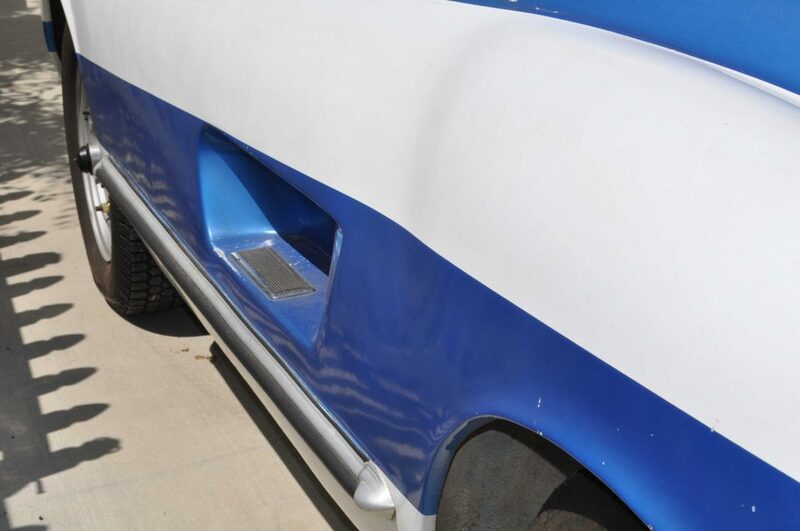 The Spider body, painted and ready to be mounted, with electrical system, special windshield, inside finish, special bucket seats, outside rear view mirror and parking guard retails at $1186, plus $90 for mounting the body on your VW frame and altering the torsion bars and leaf springs. 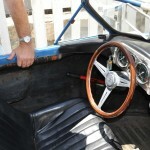 The convertible, complete on your chassis, costs $1430, plus $95 for mounting. 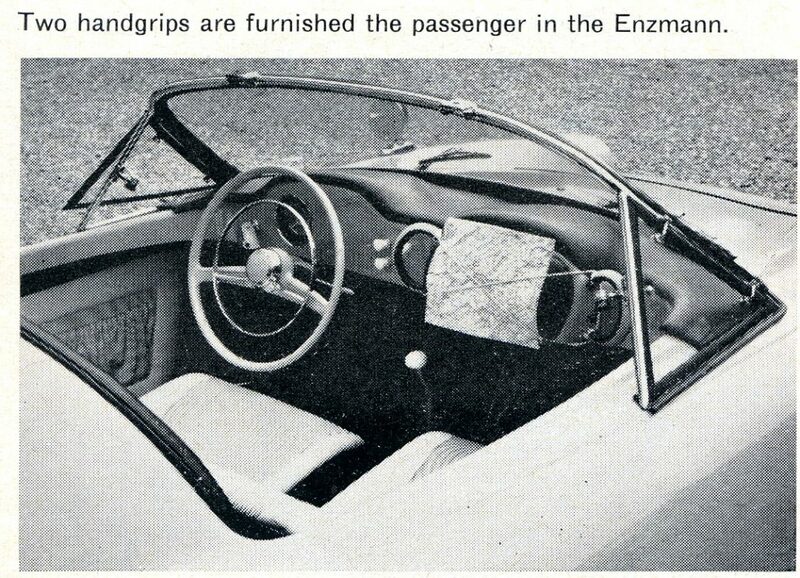 For a complete Enzmann-Spider with factory new frame one can expect to pay $1961; for the convertible with folding all-weather top, special bucket-seats, convertible windshield, heater, defroster, bumper and windshield washer one pays $2156. In addition to this, of course, will be the customs charges. However, even though the car’s initial cost is not low, it is economical to drive and maintain, especially if one stays with the frugal VW engine. One can also have the Spider with a 1600 Porsche engine and matching brakes, but this is something only for the real enthusiasts. 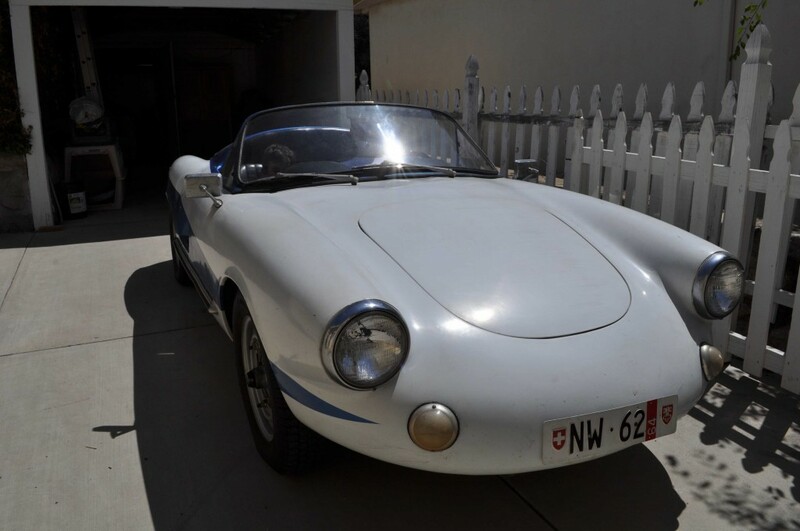 The Enzmann is a really cool sports car – imagine it with the Porsche engine and powerful brakes – what a car that would be! 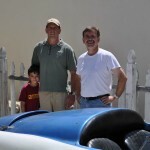 Last year I was lucky enough to be able to travel to Los Angeles and visit several folks and their interesting cars. 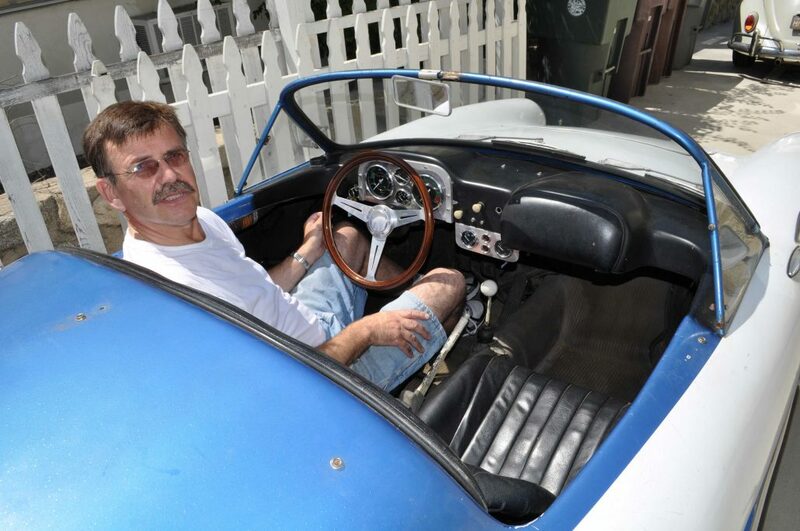 On one of these days, Erich Schultz took me to meet a recent friend of his – Erik Ouwersloot – who owns a fabulous Enzmann 506. 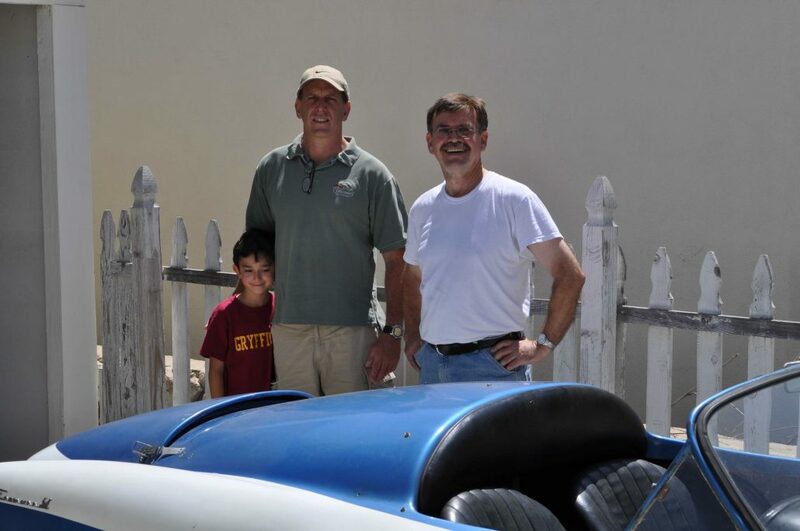 Here’s A Great Picture of Erik Ouwersloot in the White T-shirt Next To Erich Schultz and His Son Kenny. 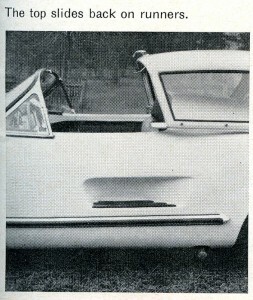 I love how the hardtop works on the model shown in this magazine – the top slides back on runners. Pretty cool! 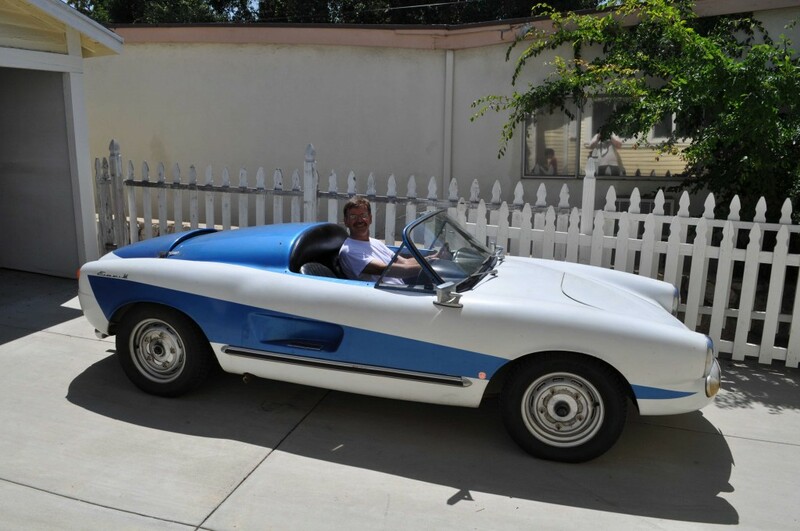 And….the Enzmann 506 is back in production. What a great thing to hear! Click here to learn more – but it looks like it is in German or Swiss – so be prepared to translate. 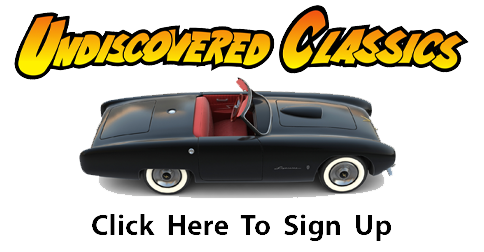 Great story on this rare fiberglass coachbuild VW. I just love my Enzmann 506 – its production number 7 and built in 1958. 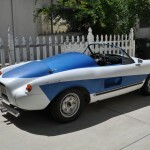 I’ve got a 115HP / 115 ft lb torq Porsche 356 engine and we just have the car painted It looks and drives awesome. Sunday afternoon over the Mullholland Hwy, tru the mountains and dinner at Zuma beach. Life is fantastic! Thanks Geoff, nice article, you just made my day! Nice too meet you here. 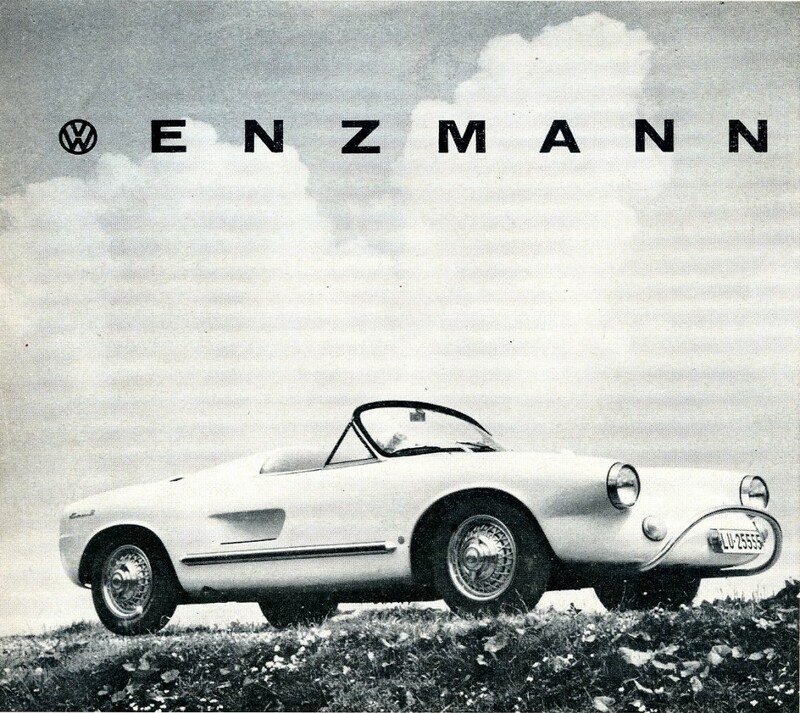 Do you know how many “original” Enzmann were produced and how many are left. I know the two cars from Joe (nr 26 and 28), the red one form Mr Enzmann himself (Nr ??) and I know Nr 3 will be restored soon here in the Netherlands and will go to the US. For the rest I have some pictures, but it is difficult to see the difference between the old and the new enzmann. Great story. There was one in Reading PA that I went to look at. 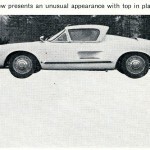 It had the hard top and Okrasa motor in it. Joe Ruiz in Ca picked it up. 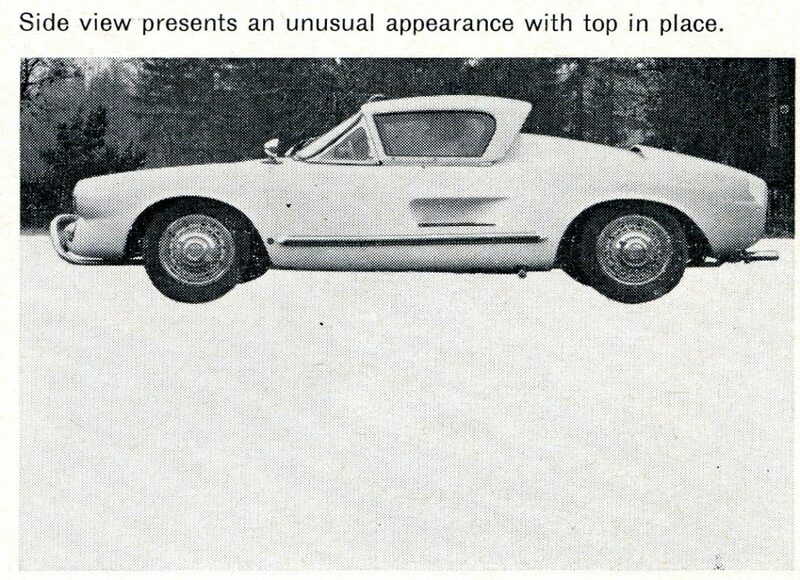 It was used in local hill climbs. I friend of mine searched for it for years and finally uncovered it. 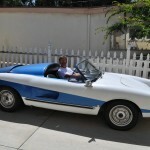 Interesting car but not very big inside, at 6 ft tall there was no way I could close the top. 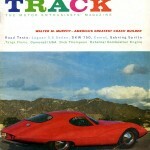 This is one design that stills good today.